You can see how many reward points a basket of shopping earns by looking at Reward Points on the checkout page. Ensure you login when you place an order to participate in the Reward Points programme. The only time you won't earn reward/loyalty points is if a product has been reduced in price. Do I need to open an account to be able to earn reward points? Yes, you will need to register for an account, which is a short form that you can find here. Add whatever you wish to purchase to your shopping basket and then click on Checkout. Login. (Navigate to the the circle with a person in at the top right hand corner of any page to login). When you login you will land on the My Account page. From there click Reward Points and you will see your points. How many points will I receive for each order? Every item on the website is allocated loyalty points based on 5% of it's value. 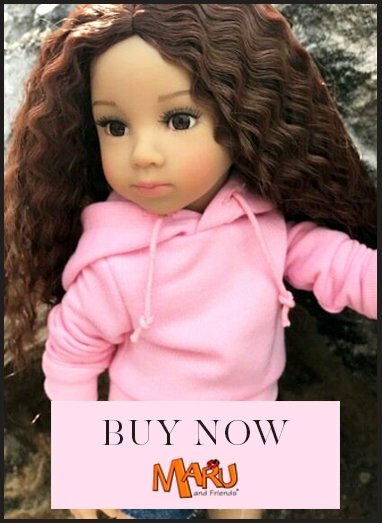 For every pound you spend with My Doll Best Friend you’ll receive 5 points to use against anything in our online store, with 100 points earning you £5 off your next purchase. This is 4 points per pound or £4 off for 100 points if you do not pay European tax (VAT). On the checkout page, under Reward Points you can see how many points are available. You can either choose to use them or save them. Enter the amount and click Apply Points to see the Order Total reduce, or if you decide to save them, Remove Points. Remember to login to your account before purchasing to ensure you are offered your points to spend, or to earn some more. When will my reward points be available to redeem? Reward points are allocated to your customer account on dispatch of your goods. You will be able to spend them when you place your next order. What happens if I forget to use my reward points when I place an order? They will be there for your next order. There is no expiry date for loyalty points. Sorry, we cannot retrospectively deduct reward points from an order placed. Is there a minimum order value for redeeming or earning reward points? There is no minimum order value to earn points. To redeem points the order needs to be £1 or more. There is no upper limit to how many points can be redeemed in a transaction. Some customers receive £40-£50 off a single order! Can I redeem reward points and use another offer? My Doll Best Friend Ltd reserves the right to withdraw or amend the reward points scheme at any time without giving prior notice to customers. Loyalty points have no cash in value, are not transferable and can be removed by management if we feel it is appropriate.